The CAYP coordinator, Jae Harris, has 25 years’ experience of working with disadvantaged and deprived children, young people and their families. 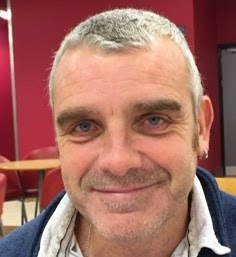 He has worked for many years as a Residential Social Worker working with children and young people in care and who had behavioural problems and additional needs. A qualified probation officer he continues to add to his professional development and works with local schools running training courses including anger management and mentoring. CAYP's vision is to improve the emotional health and well-being of deprived and disadvantaged individuals across the community so that they can self-manage and overcome barriers which prevent them from moving forward and having better chances in life. Jae works with an army of other volunteers to organise community activities that include Dad's (and Mum's) breakfasts and an active programme of after school and holiday activities for young people and their families.